Singing lessons can be quite complex due to the number of elements that must be mastered in order to become a high level performer in your own right. Expert singing teachers not only train your physiology and work out your voice’s musculature, but they help you select your repertoire and lead you through the process of interpreting the songs you choose to the highest degree. It’s all about delivering the goods and those goods are the emotional essence of the lyric and the story behind the song, its subtext. Most singers, whether they be pop, rock, folk, musical theatre, or fill in the blank style performers, are not the songwriters for the songs they perform. Therefore, they are in the interpretation business. What does the writer mean by what he/she wrote? What does the song communicate? What moods are expressed through the singing of the song? And even deeper, what about who I am makes this song resonate with me? What connection can I make with the writer, the subject, the awakened feelings, and my own inner vision of what the song is about in order to make the hearing of the song meaningful for all my listeners? This goes for both live performances and recordings. The type of questions we are asking here are very much like the questions an actor must ask about their character, their character’s motivation and emotional complexity, and how to best polish the window so that viewers are in touch with all the writer intended us to understand from that character. Actors are well schooled in a variety of introspective exercises that help them get in touch with an expansive emotional palette. It is the results of those exercises that are combined with the actor’s innate talent and giftedness to render a character that is believable and moving, that has the power to transport us. 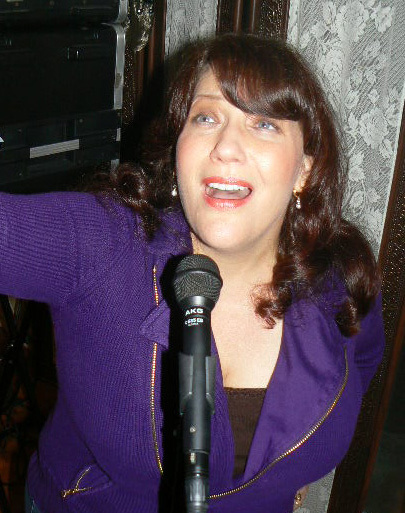 The very best voice teachers have backgrounds in all those same elements of acting, if not actual acting classes themselves, which allows them to coach and train the emotional, interpretive part of their singing student in such a way that their student becomes skilled at bringing out all that the song they are singing has to offer. Since the delivery of a spoken phrase has such a different signature characteristic from singing a phrase, there is profound work to do on the part of both the master voice teacher and the willing student. All of the emotional qualities that an actor might express while reciting the lyric need to be folded into the rich tonal presentation of pitches with their accompanying resonance that the singer has learned how to deliver. It is that marriage of producing the breathtaking sound of a human voice sustaining a musical note with the provocative emotional context of language and all the meaning contained within it, that moves us all and has caused cultures of all types to value their storytelling through great singers. When you pick the voice teacher you intend to study with, make sure they understand not only what this level of mastery is all about, but also that they can help you achieve it. 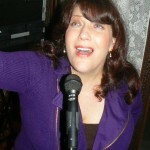 For an opportunity to learn and master all the elements of singing, we highly recommend the Singing Lesson Expert. Wonderful web-site, where did you found this info in this article? I am glad I found it. i’ll be checking out back soon to verify what other articles you’ll be able to have. Admiring the time and effort you put into your blog and detailed information you provide. It’s great to come across a blog every once in a while that isn’t the same old rehashed information. Excellent read! I’ve bookmarked your site and I’m including your RSS feeds to my Google account. I’ve been here a few times and it seems like your articles get much more informative every time. Keep it up I appreciate reading them. Great Guide thanks for sharing. I like the blog, but could not discover how to subscribe to receive the updates by email.